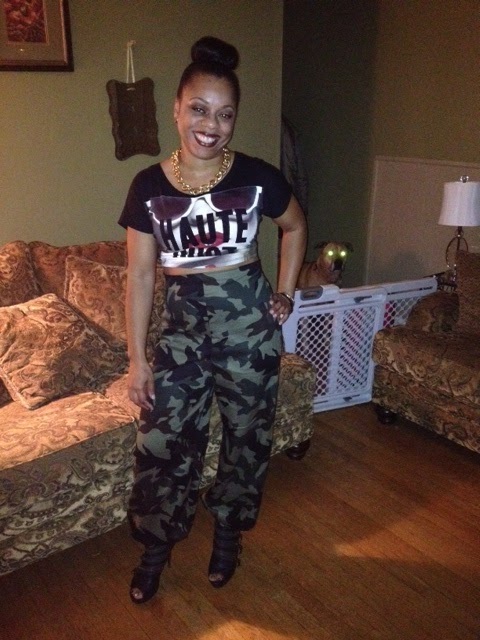 How lovely is my client Karla in her high-waisted Army pants! 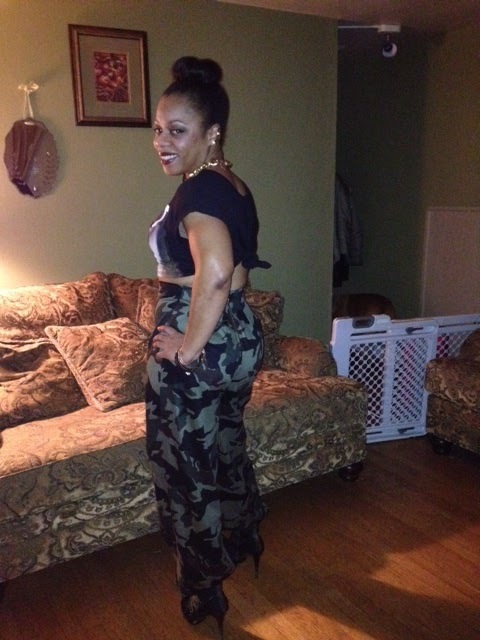 These army pants have a striking bit of femininity with a high waist and back exposed zipper. The pants also balloon at the bottom with a self-tie and can be worn for almost any occasion.. She accessorized with a cute crop top, peek-a-boo toe ankle boots and some simple jewelry! 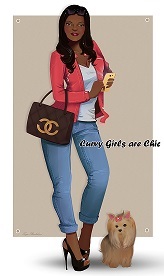 She looks amazing do you agree? If you would like a similar pair you can send an email for a custom order or if you would like a vest in Army Print you can order here.